The Delta Children Deluxe Sweet Beginnings is an inexpensive, lower quality choice with questionable design choices. This bassinet has an overall flimsy feel akin to a child's toy crib, and the smaller wheels aren't the best for floor transitions. The Delta sleeping area is mostly fabric with only two panels of mesh which gives us concerns about breathability and the similarities to crib bumpers are hard to ignore. Given that crib bumpers are not recommended to help avoid potential SIDS risks, we don't think this design is a good choice for sleep gear. While the price may be right for many families, the Delta isn't as functional or versatile as the similarly priced Graco Pack 'n Play On the Go Bassinet that scored higher and has mesh sides. While some parents might like the style of the Delta, it uses lower end materials that result in a flimsy rickety product that does not feel sturdy. IN 1968, Louis Shamie Sr. founded Delta Children when he became a new parent. The Shamie family continue to uphold their grandfather's legacy by offering baby gear for affordable prices. In addition to their line of children's furniture and other baby gear, the Sahmie family own Simmons kids. The Delta company works with the Juvenile Products Manufacturers Association (JPMA) and American Society for Testing and Materials (ASTM) to develop industry standards for the production of safe children's gear. The chart below includes the overall scores for the products tested in this review including the Delta Children Deluxe Sweet Beginnings (in blue). The following sections include performance details on how the Delta compared to the competition during testing. The Delta has a divided shallow storage tray under the sleeping area, but it isn't very functional and feels as flimsy as the rest of the product. Ease of use entails the critical features and functionality you use daily. The Delta is a reasonable height for the average bed with a depth that is more shallow than some of the competition. The footprint is on the small side so it should fit next to or near most master beds for a comfortable middle of the night access. The wheels on the Delta are the smallest in the group and they feel rickety like a play toy. This product isn't the best for travel as it requires disassembly. It is reasonably easy to move from room to room, however, with four wheels. The wheels are on the smaller side and look like they will have trouble over floor transitions and on thicker carpet. We feel like the wheels could easily break. Never move a bassinet with baby inside to avoid potential accidents and potentially life-threatening injuries. Despite having four wheels and looking like you can roll the Delta with baby inside we do not recommend you do this. The Delta has a nightlight and lullabies. The Delta has a light and sound feature on the foot of the bassinet. The buttons are easy to operate and intuitive with icons and easy on/off pressing. The Delta earned a 6 of 10 for ease of use. Setup of the Delta took over 32 minutes. It isn't particularly tricky, but there are a lot of parts and pieces to assemble. The screws for the base where the mattress sits need tightening three different times which is time-consuming. With significant fabric on the side walls and a fabric skirt we don't feel the Delta is as breathable as we want it to be. The bassinet is spot clean only as the fabric isn't removable which will be a problem if baby spits up or has a blowout. The small mesh panel on the Delta is not enough in our opinion to consider this option truly breathable without concerns. The Delta earned a 2 of 10 for breathability. The inside of the bassinet is mostly thick fabric and padding similar to crib bumpers. Crib bumpers are a potential risk for SIDS, and the AAP recommends NOT using them near babies. This design gives us pause and concern over the breathability of this enclosure and the potential risks it could create if a baby were to get too close to the side with their face pressed against the fabric. While the risk may be low, it is hard to tell for sure, and it is certainly higher than the bassinets with mesh fabric or a traditional crib with vertical bars. The interior lining does have two 10" mesh panels on each side, but the outside of the sleeping area has a fabric skirt, which could inhibit clear breathing through the mesh and the panels assume that your baby's head will only be at a certain point in the sleeping area. The Delta mattress pad is better than the rest of the product would make you suspect but the ends have more space between the pad and side walls than we like. The Delta earned a 6 of 10 for the sleep surface. The mattress on the Delta earned the fourth highest score for compression indicating a stable and firm sleep surface that is unlikely to interfere with baby's comfort or health. The mattress fits the frame of the bassinet fairly well from side to side but has more than two fingers worth of space at the top and bottom if you push the edge even slightly. This give in the mattress hurt the overall sleep surface score, and we'd like to see the mattress fit the space with less of a potential gap. The Delta has a complete fabric skirt which may be a style some parents are drawn to, but it limits breathability by creating another layer of fabric baby would have to breathe through should their face become pressed against the side wall. The Delta earned a 2 of 10 for quality. This bassinet feels like something you would by for a doll. It is flimsy, has tiny wheels, and it isn't very stable. The metal legs are exposed, and it appears as though a baby could bump their head, and the fabric is loose and not very fitted to the frame or mattress. This base wiggles significantly in all directions and the materials and connection points are not tight or high quality. This option more so than the competition feels as if it could easily topple over if a curious toddler were to grip the side and pull up for a peek at the baby. A similar falling incident could happen with bigger dogs or curious pets who might place their paws on the side. Use caution and arrange the bassinet, so it is less likely this can happen. 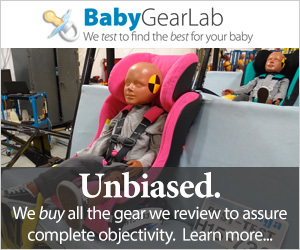 The overall quality of the Delta reminded us of a bassinet for a doll, not a real baby. All of our products are below the federal and state child safety limits for: Heavy Metals, Lead, Fire Retardant Chemicals, Phthalates, Formaldehyde. All of our crib mattresses are GREENGUARD GOLD certified, indicating they contain low chemical emissions and contribute to healthier environments. While we like that this product has third-party testing with the GreenGuard Gold certification, we do feel as if it is somewhat "greenwashing" as we call it because it is still a polyurethane foam that can off-gas but is just below an arbitrary standard. So, it gets points for trying, but lost points for not offering more natural options. It is also free of flame retardant chemicals, which is a big plus and something to considr for parents on a budget.